Ryan C. Connelly, tenor, is a 2011 graduate from the University of Cincinnati College-Conservatory of Music Master's Program. Since that time he has sung with many companies all over the country and the globe, like Kentucky Opera , where he made his professional debut in 2011 as Don Basilio in Le Nozze di Figaro , as well as Remendado in Carmen and Njegus in The Merry Widow. Ryan debuted internationally in 2012 singing the role of Florville in the Rossini opera Il Signor Bruschino with the CCM Spoletofestival in Spoleto, Italy. In that same year, Ryan was able to perform in the inaugural production of the Queen City Chamber Opera , which included lead roles in their double bill of Mozart's Bastien und Bastienne and Der Schauspieldirektor . 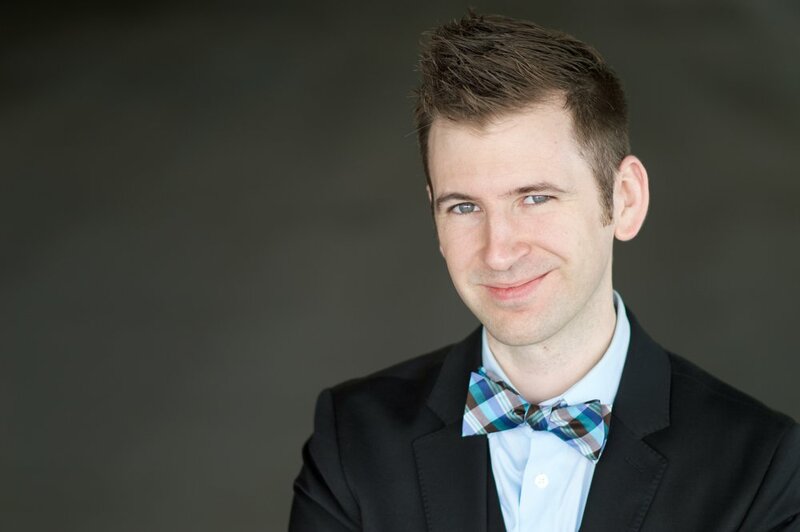 Ryan sang with Virginia Opera for their entire 2013-14 season, where he was seen singing the roles of Dr. Cajus in Falstaff , Monostatos in The Magic Flute , and Scaramuccio in Ariadne auf Naxos. In the 2014-15 season, Ryan starred in West Virginia University's production of Street Scene, followed up with the role of Belmonte in Queen City Chamber Opera's Die Entführung aus dem Serail, as well as covering Pedrillo in the same opera with Des Moines Metro Opera. In the 2017/18 season, he returned to the DMMO stage to sing the role of Squeak in the 2017 production of Billy Budd, as well as returning to the KYO stage for their production of Ariadne auf Naxos. Additionally, he appeared as Tamino in Opera in the Heights' production of Die Zauberflöte, and with Brava! Opera as Pedrillo in their production of Die Entführung aus dem Serail. To see more, as well as upcoming engagements, please visit the EVENTS tab!